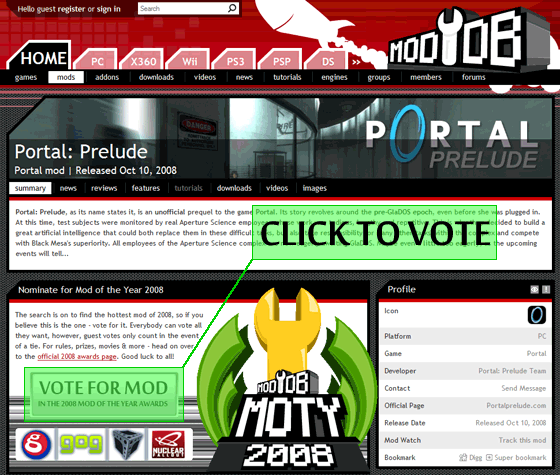 Mod of the Year 2008 competition! There's still a lot of time left, but in 2009 competition we're going to have much bigger chances, since we had entire year for pimping our project over ModDB.com. yeah sure I'll vote! just release it so we can have a go at it dammit! hey where do we vote?